Daily Vlog No. 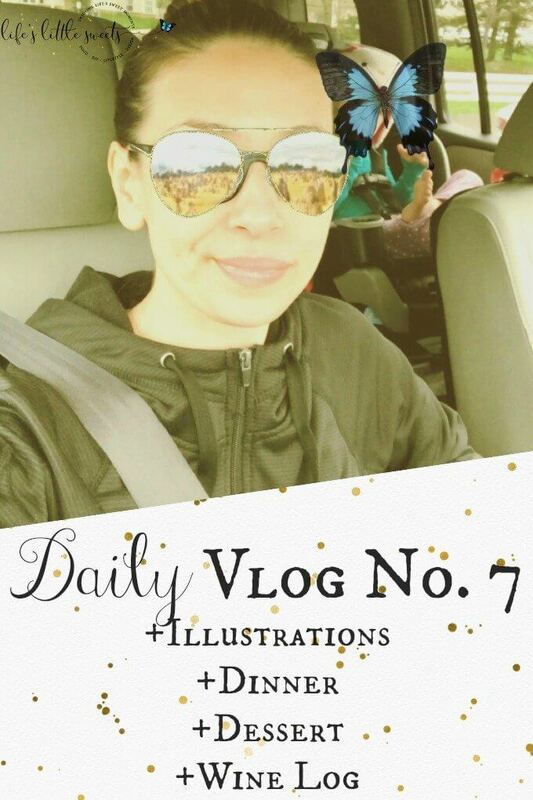 7 – Coffee, Children’s Book Illustrations, Art projects, Dinner, Dessert & Wine Log. Hi Everyone, welcome to Daily Vlog No. 7! Did you see the last daily vlog? If not, you can see it, here. Maybe it’s just that, as I am doing these daily vlogs, life is just getting more real? I don’t know, I am happy to share some of my “in real life” with you. It’s impossible for me to share every single minute, these are just snippets, really, of my entire day. I know there are going to be weeks when I definitely cannot keep vlogging on a daily basis or at least I expect that I will not, especially, if I have guest posts or sponsored posts due since it does take a little extra attention from me. I will try to do them when I can because it’s definitely been helpful to recognize my patterns in my daily routine – if you have tried vlogging, please share your experience in the comments below.